It’s a label soundclash ting ! Natty Dub Recordings are back to challenge the dog! 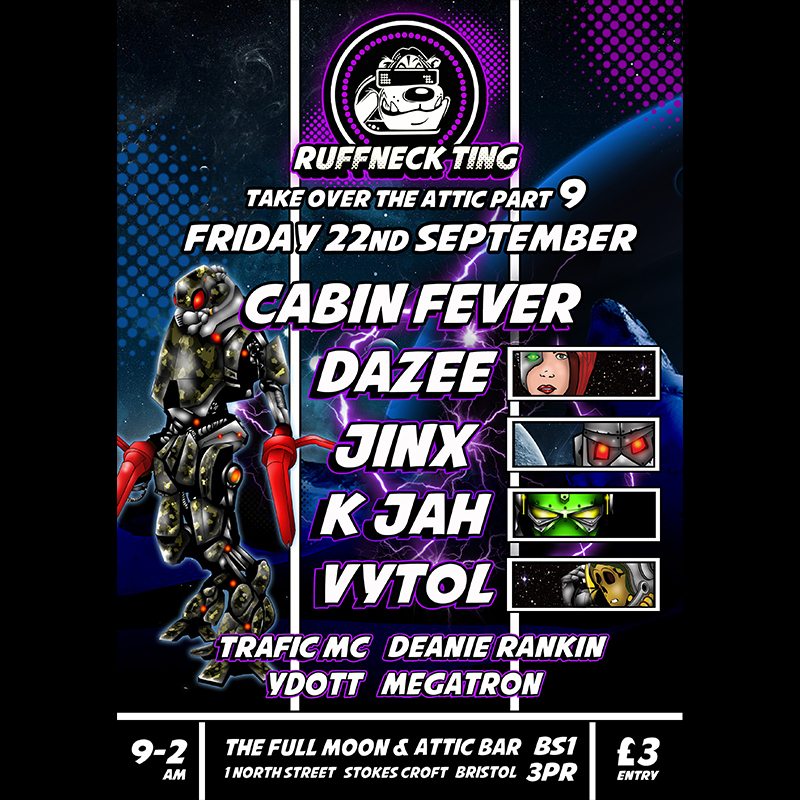 The mighty CABIN FEVER DNB will be repping all things natty while in the red corner Ruffneck Ting will be firing out the ammo coutesy of Jinx, Dazee, K Jah and Vytol. Hang on a minute …Do we detect some double agent action? …In that case anything could happen…Plus Trafic, Ydott, Megatron and Deanie Rankin on hosting duties. Gonna be large! 9-4am at the Attic !